Mummy Of 3 Diaries: Some of Ryan's 1st's. 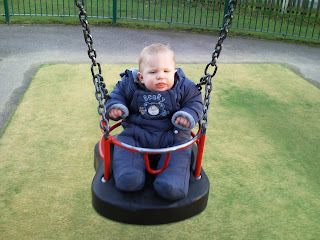 ﻿Ryan's 1st time on a swing. 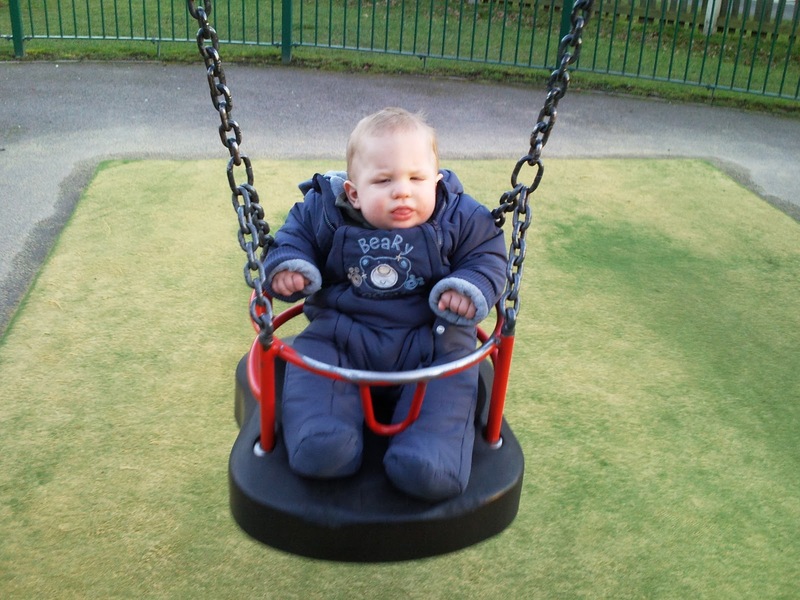 This was taken just a few weeks ago,he was around 8 months old and he was a Little scared at first but he loves the swing now. 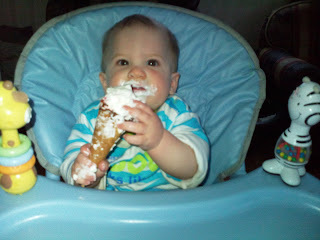 Ryan's 1st Ice Cream cone. I gave him his very first ice cream cone last week.He loves ice cream as he's had it loads of time but this was his first time having it in a cone,i don't think he quite understood what he was supposed to do with it bless him. 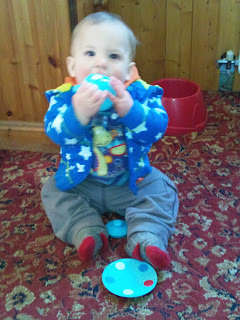 His big sister Lily loves her Tea Set but wasn't too happy that Ryan has taken a liking to them.I think he wants to play too! Even though he wasn't interested in pretending like Lily does,he just wanted to eat the cup hehe.